Commercial production from the line erected and commissioned by M/s. Franco Tosi of Itlay based on Semi Dry Process with capacity of 100,000 tpa started on 1st May 1969. With growing cement demand in the State of Qatar, another production line of 100,000 tpa capacity was installed in 1974 by M/s Tarmac (UK) & by M/s. FLS (UK). However, as cement demand was still rising a third Kiln of 100,000 tpa capacity based on same technology was erected in 1976 by M/s Buhler Miag, Germany making combined clinker production capacity of the Plant more than 300,000 tpa producing both the OPC and SRC Cement. Finding the synergy with the existing activities and keeping in view the demand of the growing industrial sector in State of Qatar , in steel in particular, company proceeded with Calcined Lime Plant of 100 tpd in the year 1978 consisting of a Rotary Kiln with Planetary Cooler and other supporting facilities.Hydrated Lime Plant was added to existing facility in 1985 with a capacity of 240 tpd . 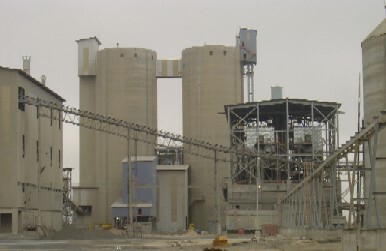 With a view to keep pace with growth of nation, a most modern and separate Cement Plant of 2000 tpd clinker production was commissioned in 1998 , at the site closer to the Plant 1 .The New plant was supplied and erected by M/s.FCB (France) on turn key basis with M/s.Holderbank (Switzerland) as the consultant. The foundation stone of the project was laid by H.E Abdalla Bin Hamad Alatia (Minster of Energy & Industry) on 12th Nov 1995 and inauguration of the plant was done by H.H Shiekh Hammad Bin Khalifa Al-Thani (Emir of the State of Qatar) on 10th Feb 1998. 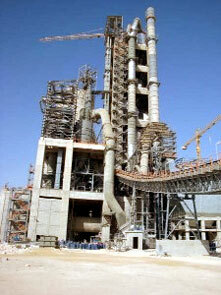 In April 2004, a contract for constructing Plant 3 with a capacity of 4000 t.p.d. clinker was awarded to M/s FCB Ciment (France) on turn key basis with M/s Basse Sambre of Belgium as consultant at site next to Plant No. 2. The foundation stone laying ceremony was completed by His Highness Sheikh Tamim Bin Hamad Al Thani, The Heir Apparent on 20th December 2004. The construction of Plant No. 3 was completed in Jan 2007. 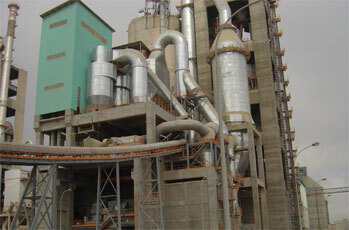 The company also established new washed Sand Plant No. 2 in December 2008 with a designed capacity of 20,000 t.p.d. through a turn key contract awarded to M/s CDE Ireland of Ireland.